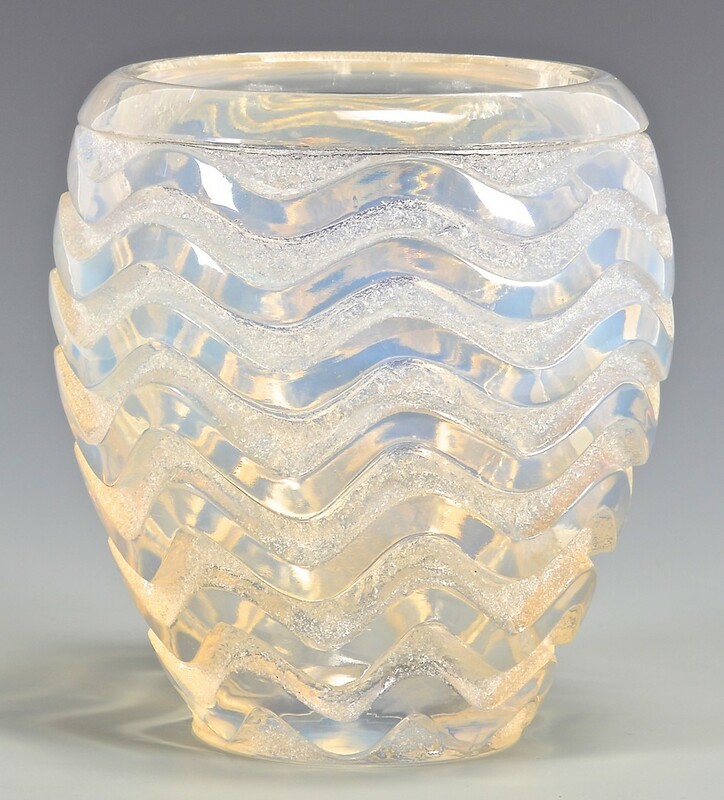 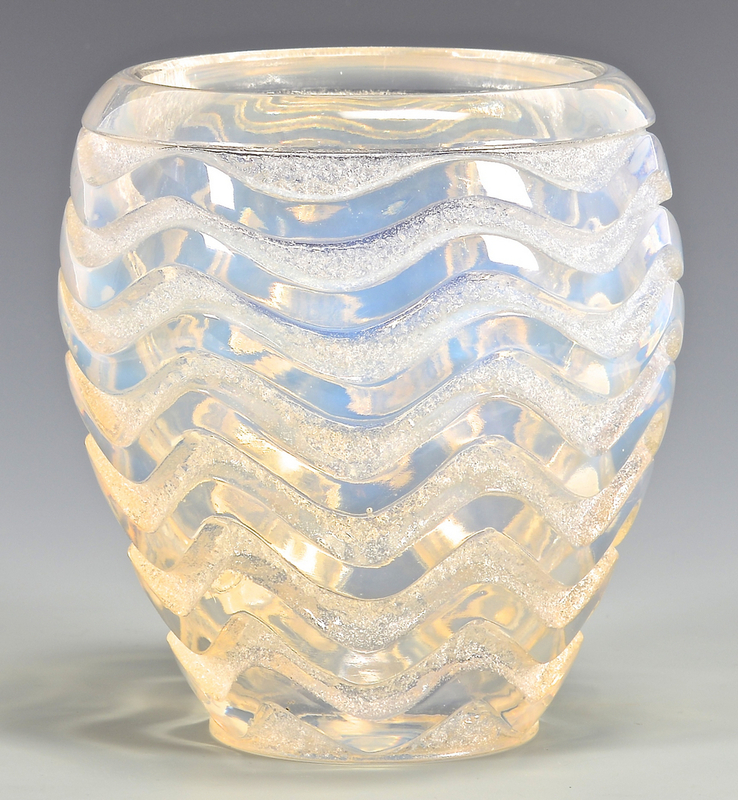 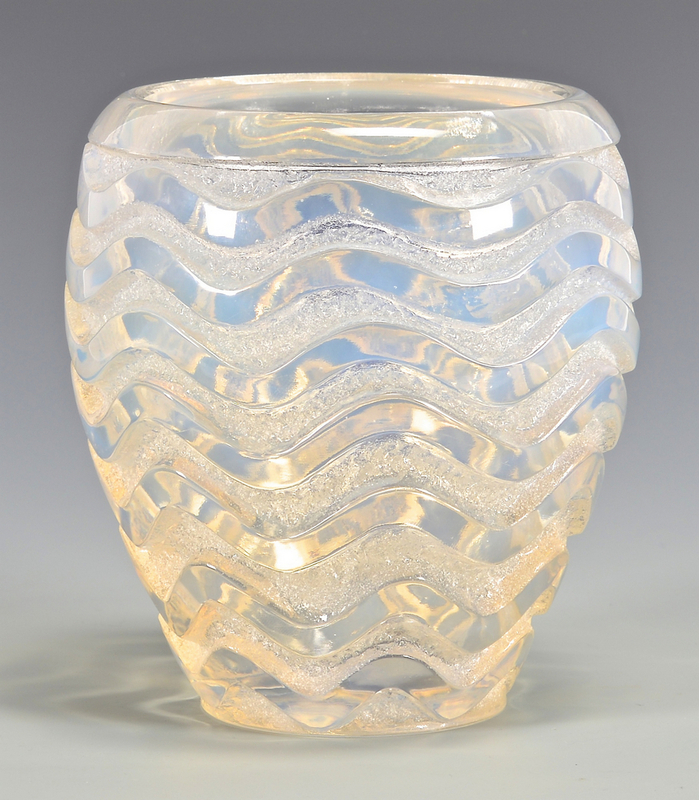 Rene Lalique Meandres pattern with molded high relief opalescent wavy meandering lines around the circumference. 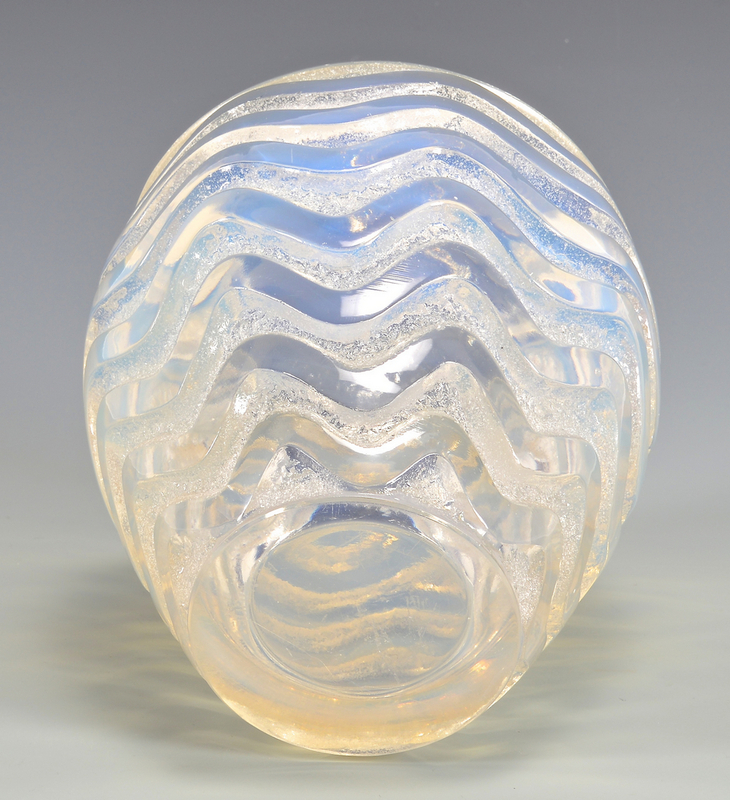 Inscribed R. LALIQUE, FRANCE to base. 6 1/2" H x 6" D. France, Circa 1934. 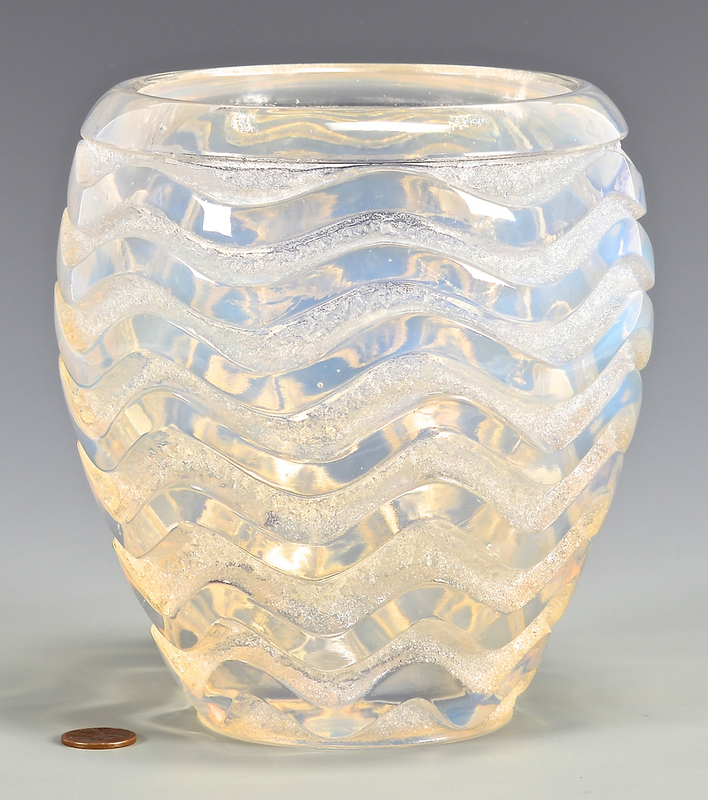 Provenance: Estate of Bill Zarnon, Gatlinburg, Tenn. 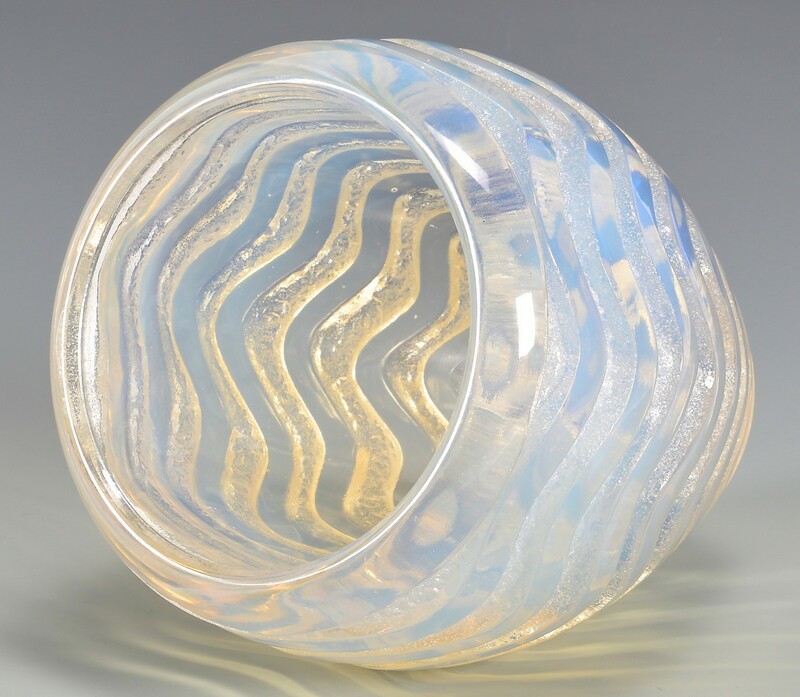 Condition: Very good to excellent condition, with minor scratches on base commensurate to age and usage. 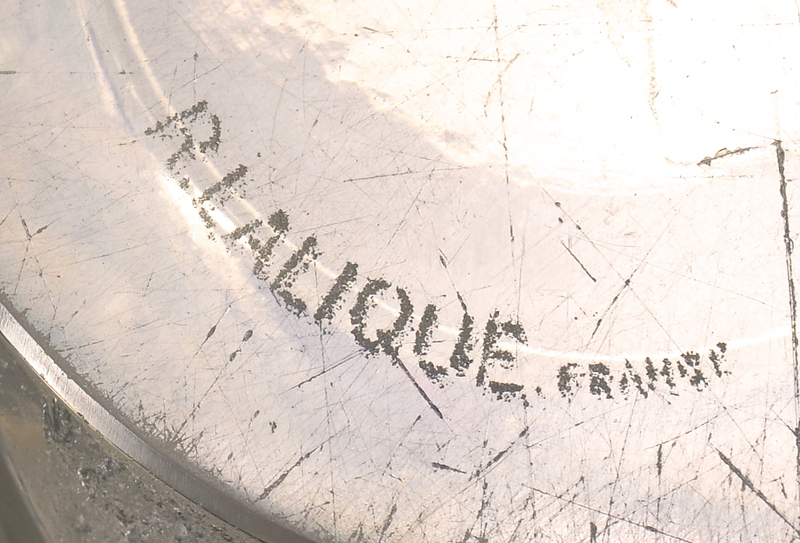 CONDITION: Very good to excellent condition, with minor scratches on base commensurate to age and usage.